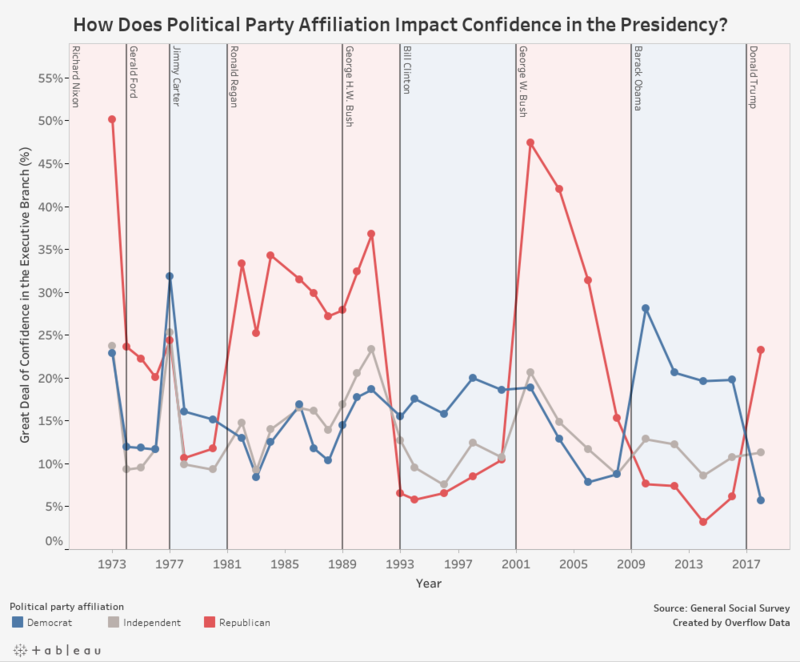 You are at:Home»Special Projects»Politics»How Does Political Party Affiliation Impact Confidence in the Presidency? NORC’s General Social Survey continually asks people about what level of confidence they have in different institutions. In the past, I have explored confidence in many institutions with a single data tool. This time, I decided to focus on confidence in the executive branch. I thought it would be interesting to see how political party affiliation plays a role in what people think of the presidency. Specifically, I wanted to see how confidence has trended when a party has been in the White House and when it is not. As you can see, people in a political party are much more likely to have a “great deal of confidence” in the executive branch when their party holds the office. 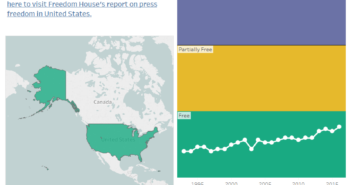 You can use the visualization below to explore the trends over the last 46 years. This data comes from the General Social Survey collected between 1972 and 2018. 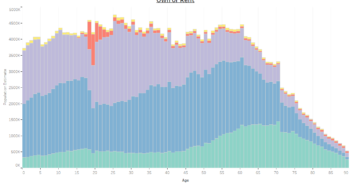 Once I had the data, I used Tableau to create the visualization.